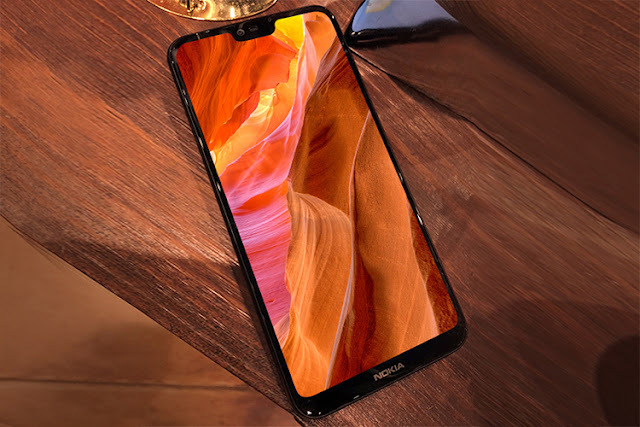 We recently came to know that Nokia X6 might be launched as Nokia 6.1 plus for the global markets. It was first spotted on the list of ARCore supported devices and then on the list of Google Play supported devices. Now, the Nokia 6.1 plus has visited Geekbench where it scored 1332 and 4903 in single-core and multi-core tests respectively. 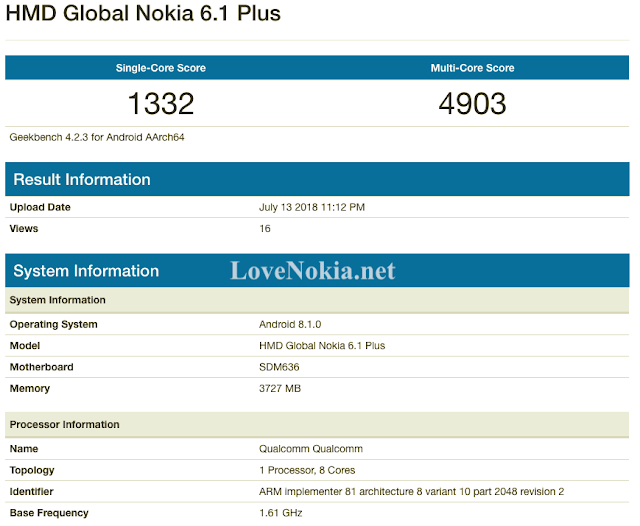 The Geekbench listing reveals that the Nokia 6.1 plus is powered by a Qualcomm Snapdragon 636 SoC which is same as on the Nokia X6 along with 4 GB of RAM. It will be running stock Android 8.1 Oreo as a part of the Android One program. Nokia 6.1 plus is rumoured to be launched on July 19 in Hong Kong. We are only a few days away, so stay tuned. We'll keep you updated!